Agnieszka Cherubinska & Grzegorz Cherubinski have taken part in the polish version of the successful show World of Dance (WoD) in the last couple of months of 2018. Your Rock-n-Swing Dance Portal already reported on their qualifications a while ago. Their journey at WoD was meant to last for a bit longer and they finished the show with an incredible 3rd place in their category. 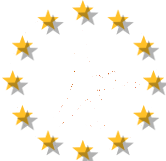 The show divides the participants into different categories, with Agnieszka & Grzegorz dancing among the "Adults" competitors, which allows up to four people on stage. Places for the category where given on an invitational basis so that only professional performers could participate. The "Adults" category was filled with about 20 competitors in total. The jury around Michal Malitowski (a reknown Latin dancer), Rafal „Roofi” Kaminski (Hip-Hop and Breakdance Specialist) and Edyta Herbus (S-Class Latin and Modern Dance) were fascinated by their performances and called their shows "the most professional swing dance shows" they have ever seen and admired the athleticism in Cherubinska/Cherubinski's aerials. "The catchy music makes you wanna stand up and dance with you", the jury mused. And that was exactly what they did (follow the link!). Agnieszka & Grzegorz advanced through the Qualifications and a 1-on-1 duel straight to the semifinals. And it was all but a simple path: "We were physically and mentally exhausted after all of this", Cherubinska/Cherubinski told your Rock-n-Swing Dance Portal. Not surprising since they created each and every choreography by themselves. The first two shows were planned simultaneously since the recordings of the shows were only a week away from each other. But it was worth all the effort. "The program was the great motivational kick for us, we had set a goal to make, and it helped us to train harder", Cherubinska/Cherubinski relate their experience. The semi-final performance was created long beforehand and the routine has been changed many times, until a week before the show. The TV-experienced Boogie Woogie couple ended up on a well-earned 3rd place in their category, closely missing the final where the two best dance shows in each category participated. For Cherubinska/Cherubinski "it was a great experience, and we are proud of making it this far in our category, being able to represent our beloved dance". People's reactions had motivated Agnieszka & Grzegorsz throughout the shows. Thanks from your Rock-n-Swing Dance Portral as well for making Boogie Woogie more visible in the public. The Rock-n-Swing Dance world world needs more dancers like you.